Personalized Spiritual Gifts for Catholic Hearts and Minds. 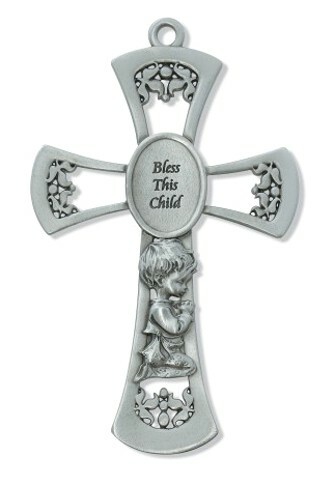 Welcome to our Catholic baptism gifts page. We offer a unique selection of baptism and christening gift ideas to help you celebrate that special milestone in your child's life. 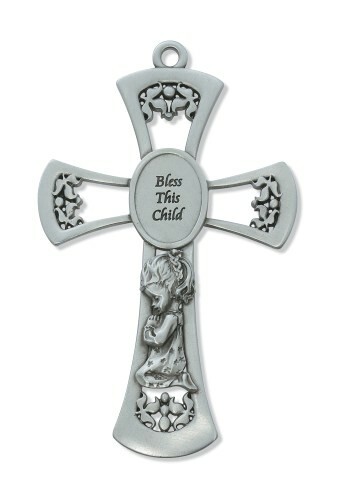 We have adorable baptism photo frames, crosses, and personalized crib medals. We also have a Baptismal gift to thank the godmother and godfather, and remind them of their spiritual duty to your child. A personalized Catholic baptism Bible is a very functional christening gift that can last a lifetime for your boy or girl, or their godparents. 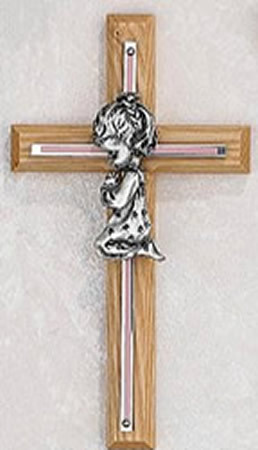 A baptism or christening cross can decorate the nursery wall with a wonderful spiritual touch. A personalized baptism trinket box can hold that first tooth and a lock of hair from your baby, along with a Rosary blessed at the christening. A personalized Rosary box for the godfather or godmother is a thoughtful gift, and a reminder to pray for your child. Baptism is the remission of original sin, and renewal by the Holy Spirit. It is the first sacrament your child will receive, and is so very important in their spiritual life since they must be baptized to receive the other sacraments. In baptism we become members of Christ, and members of the Catholic Church. We hope you find the perfect gift to celebrate this important sacrament. May God bless you and your child on this special occasion. 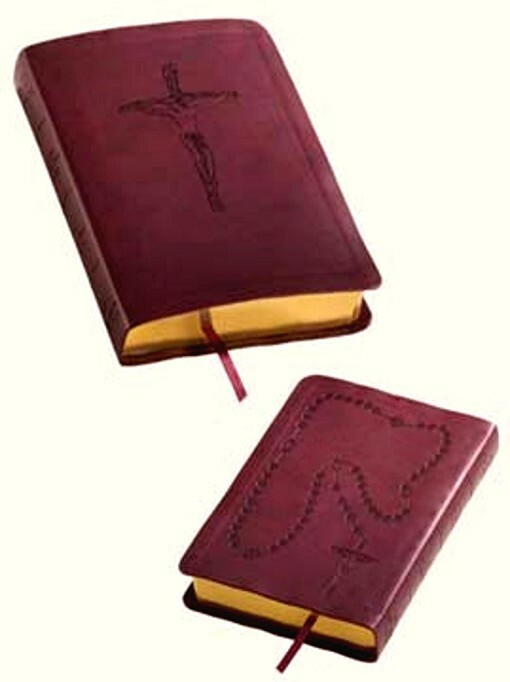 A Personalized Catholic Bible with a name, brief message, and the date of the Baptism makes a wonderful Baptism Gift. This is a personal, spiritual, and yet functional gift that will comfort, enlighten and inspire for a lifetime as they learn to value their Catholic faith and heritage. Also makes a wonderful gift for godparents. 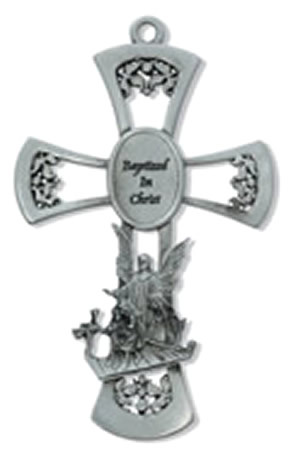 An engravable metal Rosary case makes a wonderful Baptism gift for that first Rosary or other trinkets. 3 lines of engraving included. Click link above for details. Personalize a Crib Medal with the Child's Name, date of birth, height & weight. Custom inscriptions available. Great Baptism Gift! A personalized Catholic Baptism Bible with your child's name, date of their Baptism and Church is a functional gift that can remind them of their Baptism, teach their Catholic faith, inspire and comfort for a lifetime! We offer only the latest version of complete Bibles approved by the Confrence of Catholic Bishops, and printed here in the USA. © 2005-2015 Trinity Online LLC. All Rights Reserved.